Your child will achieve 3-6 grade levels in one year advancing 1 year every 4-8 weeks. Your child’s grades, confidence, and self-esteem will soar as they develop a love for reading and school! See how in just one month Olympic gold medalist Cathy Rigby’s daughter improved six reading grade levels. For over 35 years our reading classes and tutoring services have produced results no other program can match! The Dicker Reading Method one-on-one reading classes and tutoring services work for everyone, including PreK, kindergarten, students, students below grade level, at grade level or above grade level, adults, seniors, the educationally challenged, and the gifted. Call us at 1 (855) 439-8415 or fill out the short form below. In the early grades (1st–3rd), the comprehension problem is caused by the child developing a hesitant reading style, making mistakes on words, sounding out words, substituting one word for another, not stopping at periods, pausing at commas, or reading fast. All these will cause comprehension problems and it becomes difficult for the child to understand what they have read. This is frustrating for a child and their parents, but it isn’t a problem without a solution. 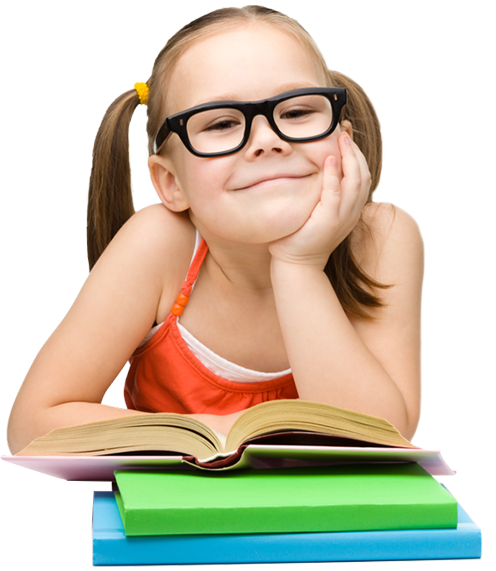 We can work with your child to overcome their reading comprehension problems. Starting in the upper grades (4th–12th) the comprehension problem can be caused by hesitant reading style, but it may also stem from your child not knowing the meanings of the words they read. If your child doesn’t know the meaning of a word, they will never use it in writing and won’t ever speak it; it will be as though they never learned the new word in the first place. The Solution to The Reading Comprehension Problem. Schools are not introducing a sufficient amount of vocabulary words for your child to succeed. The teacher will put up 10–20 new vocabulary words on the blackboard each week and ask the children to look up the definitions; a child goes to the dictionary and may not be able to read the word and or the words meaning. Addiitionally, The child is confronted with 5 synonyms they don’t know the meaning of in 5 different contexts, while only getting 1 repetition. No one learns anything with only 1 exposure. So the word is learned only to be forgotten. If your child is being introduced to only 20 new vocabulary words per week, that means between 4th grade and 12th grade they will learn less than 3,000 words, which is equivalent to a 6th grade level of vocabulary development. Your child needs to be introduced to 20,000 vocabulary words in order for them to be the best they can be in the world. Using The Dicker Reading Method’s exclusive word recognition techniques, your child will learn 5 new words in one minute and accomplish 3–6 years of reading vocabulary improvement in just one year. Watch as your child’s grades, test scores, and confidence soar as they develop a love for reading and school. Improve 3-6 grade levels in 1 year. Results No Other Program Can Match! Start now with a free consultation! "She's now reading books, where she was doing three letter words on flashcards. She's now reading books, and I believe it's a first-grade level book, and she's not even in Kindergarten yet. So the DRM has completely gotten my daughter reading before Kindergarten." "On the first day of trying this reading program, Lowden read a book. He didn't just read five words, he read an entire book, which made Lowden feel so wonderful, so great, that he could do this, read this whole book. There was no stopping him from there. He just wanted to keep going and going." "She walked into Dicker Reading Method very skeptical, as I was, and very shy, and I don't even think she would say what her name was to Al. And then, after two hours with Anita and Al, she came out loving to read, she wanted to read, and she hugged the teacher and she seemed happy, very happy, and couldn't wait to get home to see Daddy so she could read her book, her first book." "Darius, a 7th-grader, was in special education labeled with ADHD. In 6 months, he went from reading on a 4th-grade level to a 12th-grade level and was able to master words, the meaning of words, and comprehension! After scoring in the highest percentile on the Secondary School Admissions Test (SSAT), he was pleased with being admitted to 9 out of 11 of the nation’s most competitive engineering programs, or what his mother, Donna, calls “an 81% acceptance rate, thanks to the Dicker Reading Method.” Darius chose Rensselaer Polytechnic Institute (RPI) because it was the best for him and because their motto attracted him, which is: Why not change the world?" "Marcus, an 18-year-old, came to us without the ability to hear or speak due to cerebral palsy. Because of this condition, he was unable to read. I was faced with the problem: How can you get a child who can’t hear or speak learn to read? Thankfully, he knew sign language so we adapted the Dicker Reading Method to reflect his needs and started teaching him how to read. To see how we adapted the method and to see Marcus read for the first time, please watch above, the special needs video, A Miracle in the Making." Nikki didn’t know how to read and lacked confidence and self-esteem, so we started him on our preschool/kindergarten reading program. After approximately a year and a half, he advanced to reading on a 5th grade reading level with mastering words, meanings of words, and comprehension. Nikki developed a love for reading and school! If you teach a child to read, you change their world! Watch Nikki’s story in the special needs video above. "One of my students, a 14 year old boy with autism, was unable to speak or read a single word. His parents did not think it was a possibility for him to learn to read.In the first session, we adapted the program and he learned 30 words. He quickly transitioned from "I can't' to "I can read" mindset we aim for. He was soon reading sentences and then stories. He made miraculous progress for the year he came to us." "One of my students is a 72-year-old adult. When he was assessed he was reading on a kindergarten reading level and lacked confidence and self-esteem.In the first session, he learned 30 words and read his first book fluently. After about one year in the program, he is now reading on an 11th-grade reading level.He brings his newspaper with him to each session. He is proud of what he has accomplished an enjoys reading for pleasure." Become a confident reader, totally focused, concentrated, and “in a zone”. Naturally learn 5 words in one minute which will support them in their reading comprehension and fluency. Be able to read and understand the words they have learned, in a sentence, paragraph or story. Develop a fluent reading style which will support them in their comprehension. Develop the literal comprehension skills to become an outstanding reader. Learn to observe periods and commas, which will support them in their comprehension. Be equipped to combat and overcome the “300 small words” that look alike, which often cause comprehension problems. Expand their vocabulary learning up to 5,000 vocabulary words which will help them understand what they have read. Let go of the struggle associated with not being able to comprehend what they have read and make reading fun again. Improve their grades, test scores, confidence and self esteem. Develop a love for reading and school. Develop the literal and inferential comprehension skills to become an outstanding reader. Improve their grades, test scores, confidence, and self-esteem. Read lengthier and more difficult passages and texts. Naturally learn 5 words and their meaning in one minute which will support them in their reading comprehension and fluency. Expand their vocabulary learning up to 5,000 vocabulary words and their meaning which will help them understand what they have read. Improve their grades,test scores, confidence and self esteem. Expand their vocabulary learning up to 10,000 vocabulary words and their meaning which will help them understand what they have read. Gain a better understanding of the other subject areas. Be prepared for the challenges faced in Middle School. Fluently read and comprehend in every subject area required for school assignments. Improve their grades, test scores, confidence and self-esteem. Be able to answer deeper inference questions on reading assignments. Be equipped to combat longer, more independent assignments with more challenging materials. Naturally learn 5 words and their meaning in one minute which will support them in reading comprehension and fluency. Draw and explain conclusions based on the information they read. Improve their ability to comprehend, outline, summarize, and study new material. Expand their vocabulary learning up to 15,000 vocabulary words and their meaning which will help them understand what they have read. Fluently read more difficult books in every subject area. Improve their grades, SAT test scores, confidence and self esteem. Be equipped with the skills needed to comprehend passages, articles, and book chapters for not only English Language Arts, but also for Science, Social Studies, and Math. Enhance their preparation for college entrance exams. Expand their vocabulary learning up to 20,000 vocabulary words and their meaning which will help them understand what they have read. Fluently read and comprehend difficult books in every subject area. Enhance their mastery of SAT, writing, and spelling skills. Enhance their ability to outline main points, use study materials, and summarize text. Be equipped with all of the reading comprehension and fluency skills needed for higher level education. The final facet of the comprehension problem lies in your child finding meaning in the words that they read. On tests and in real life, people need to be able to find and retain information from the written word. Our students are asked a question on every sentence they read in their tutoring sessions. If they don’t know an answer, we have them go back into the story to locate and prove the correct answer. Through this technique, your child will learn to cite sources and draw useful information from text. This helps to develop the child’s literal and inferential comprehension skills and to defeat poor reading comprehension.